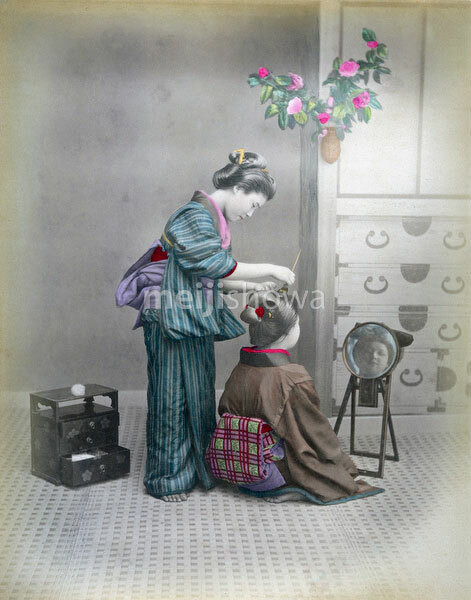 A woman dressed in a kimono and facing a mirror has her hair done by a professional hairdresser. The woman(‘s face can be seen in the mirror. On the floor stands a box with tools for hairdressing.